Topic: The Amazing Universe – as exciting and awe-inspiring as anything you may encounter in science fiction — and it’s real! Dr. John Percy (PhD Astronomy 1968 University of Toronto) is a very active Professor Emeritus at the University of Toronto, in Astronomy & Astrophysics, and in Science Education. He was a founding faculty member of the University of Toronto’s Mississauga campus in 1967. His research deals with the nature and evolution of the stars, and he has published over 250 research papers and three books in these fields, most recently “Understanding Variable Stars” (Cambridge 2007). He is also active in science education, especially astronomy education, at all levels, throughout the world. He has edited five major conference proceedings in this field. He has served as president of six national or international scientific and educational organizations, and as Vice-Chair of the Board of Trustees of the Ontario Science Centre, and as Honorary President of the Science Teachers Association of Ontario. He has received many awards, most recently the inaugural University of Toronto President’s Teaching Award in 2007, the inaugural Qilak Award of the Canadian Astronomical Society for outstanding contributions to public appreciation and understanding of astronomy in 2012, and the 2013 Education Prize of the American Astronomical Society. Outside of astronomy, his interests include music (especially Baroque), theatre, nature and heritage walks, his wife Maire, their daughter Carol, and their cat Bunny. 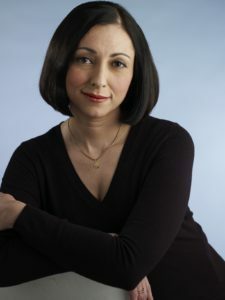 Marina Nemat was born in 1965 in Tehran, Iran. After the Islamic Revolution of 1979, she was arrested at the age of sixteen and spent more than two years in Evin, a political prison in Tehran, where she was tortured and came very close to execution. She came to Canada in 1991 and has called it home ever since. Her memoir of her life in Iran, Prisoner of Tehran, was published in Canada in 2007 and has since been published in 28 other countries. It has been an international bestseller. In addition, Marina is the chair of the Writers in Exile Committee at PEN Canada, a member of the International Council of the Oslo Freedom Forum and has been a volunteer at her church’s Refugee Committee since 2010. Dr. Mike Daley holds a PhD in music from York University and has taught undergraduate courses at Guelph, McMaster, Waterloo and York Universities, as well as acclaimed later-life courses at York, University of Toronto, Ryerson, George Brown, Learning Unlimited in Etobicoke and Later Life Learning in Mississauga. 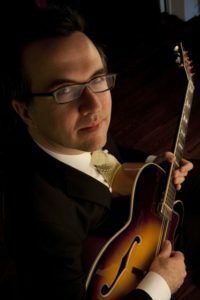 Mike has published scholarly articles on American popular music in international journals and has been invited to speak at academic conferences from Normandy to Nashville. As a music producer at CBC Radio, Mike wrote scripts for Tom Allen, Eric Friesen and Shelley Solmes and programmed music for nationally broadcast radio shows.